Tara Redwood School offers two fantastic summer camps! Children can explore, play, have adventures and discover something new everyday on 108 acres of creeks, woods and meadows! APPLY HERE ! Please see application for dates & rates. Camp for 6–10 Years Old. Join us for a summer of exploring the elemental forces that shape our amazing planet with Caitlin Berry. Each week, we’ll delve into learning and observing the qualities and power of the featured element, and how and where they appear within ourselves as well! The elements of wind, fire, water and earth. APPLY HERE! See dates and rates & more info. Caitlin Berry, Elements Camp educator. Caitlin is tickled to be joining Tara Redwood for the first time this summer! She brings with her several years of art curriculum development with Camp Galileo, a leading innovation education camp for kids, and well over a decade of experience in childhood education with a strong focus in the arts. She recently moved to Santa Cruz after almost a decade in Oakland, and is happy to be joining the community here. She is super excited to explore, create, play and grow with campers up in the redwoods this summer, whipping up a delicious mix of some of the things she likes the best; being in nature, creative play and problem solving, making magic, tuning in, and sharing out. 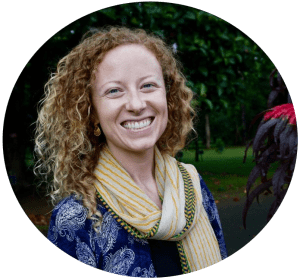 Caitlin is a longtime student of Ayurveda, yoga and mindfulness, has a serious case of the travel bug, loves costumes, dance parties and desserts, and can’t wait to meet everyone at camp! PLEASE LABEL ALL PERSONAL ITEMS! An extra change of clothes including underwear, bottoms and shirt in case of a wet accident.